Neustar Recruitment 2019 scheduled for the role of Associate Software Engineer for B.E/B.Tech/M.E/M.Tech graduates at Bangalore Office. The detailed eligibility criteria and application process are given below. Strong command on algorithms and data structures. Good design, coding and problem-solving skills. Knowledge of frameworks like Grails, Hibernate or Spring would be an added advantage. Knowledge of Big Data Systems would be an added advantage. Knowledge of test driven development preferred. In this role you will run along the cutting edge with an all-star lineup of experts in computer science, software engineering, marketing science, operation research and marketing strategy. You will be actively involved in design and development of Consumer platform which acts a modeling platform for generation of models for multi touch attribution space at Neustar and work on some of latest in market technologies which would act as backbone of consumer platform. This includes using some of big data technologies which would be used to handle large amount of ever growing client data and perform real time analysis and building models. 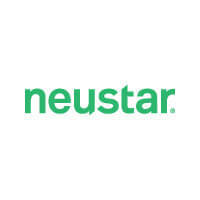 How to apply for Neustar Recruitment?